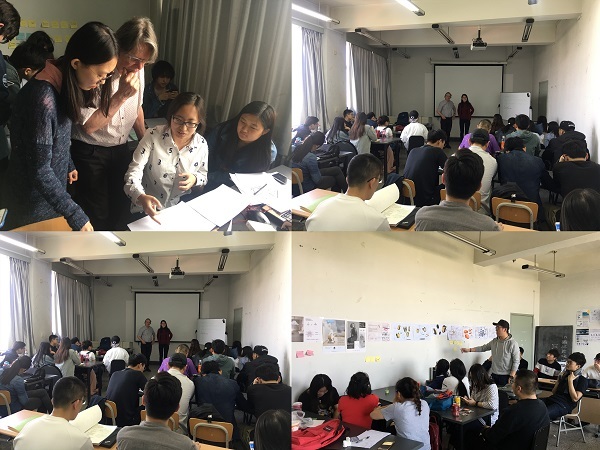 In April 24, 2017, School of Art and Design, Beijing Institute of Technology invited Professor Harald Hullmann from Saar HBK to hold a design workshop with the theme of Sarkozy German Academy of product design and material application. Harald Hullmann, the professor of Saar HBK and the visiting professor of Karlsruhe HfGest and China Central Academy of Fine Arts, engages in product design and design education for a long time. The purpose of this teaching workshop activity is to provide students with a good platform for learning and ideas exchange. The research subjects of the workshops were focused on new materials and the product design was based on new materials. Professor Hullmann shares the specific methods of the application of new material to the students in the process of product design, and how to integrate the design thinking of the new material and reasonable application through case study. And then, he pointed out the importance of product design, material, function, technology and aesthetic standard.